Space: A Brightpips Guide is a truly interactive ebook for iPad®, iPhone® and Mac®. Read, watch and play as you learn. Imagine walking around a space museum packed with interactive exhibits that you can touch, move, play with and learn from. Now imagine that museum squeezed into your iPad, so you can visit whenever you like! 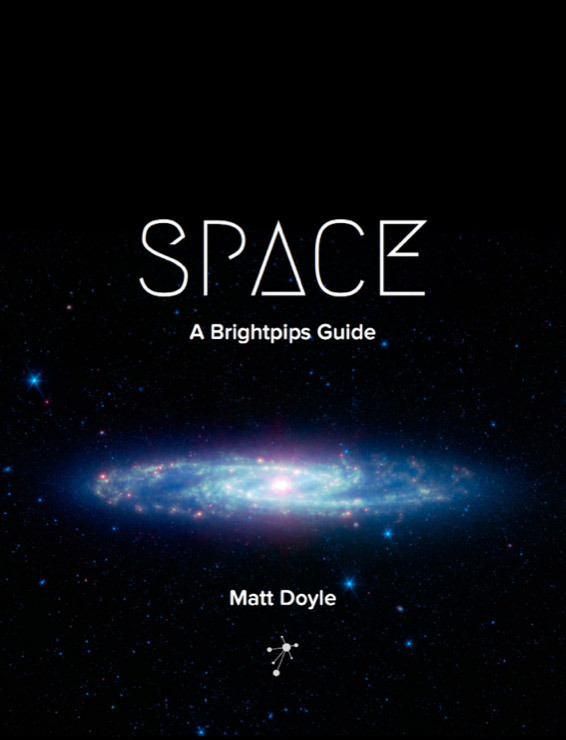 Space: A Brightpips Guide is available now on iBooks. See what’s at the centre of the Sun. Get to know the planets of the solar system. See something interesting? Tap to learn more about it. Change the temperature on Mercury. Explore the phases of the Moon. Interactive widgets mean kids have fun while they learn. See dust devils on Mars. Be awed by nebulae. Stunning close-up photos bring planets, stars, and spaceships to life. Learn amazing space facts. Understand how things work. Clear, engaging text helps kids learn easily. Watch the historic Moon landings. Fly over the surface of Mars. All without leaving the pages of your ebook. Over 100 popups filled with detailed information and images. Covers the whole solar system, stars, space travel, and lots more. 20+ interactive widgets, galleries and videos to engage and inform. 300+ high-resolution images that delight and inspire. Space: A Brightpips Guide will delight and amaze, as you soar through the Earth’s atmosphere, out into the solar system, and beyond. Watch plasma erupting from the Sun, get excited about ice on Mars, and learn about Saturn’s curious moons. Be inspired. Go out and explore. Designed for age 8+. Loved by kids and adults alike. Matt Doyle is a science and technology writer who explains complex topics in an easy-to-grasp way. 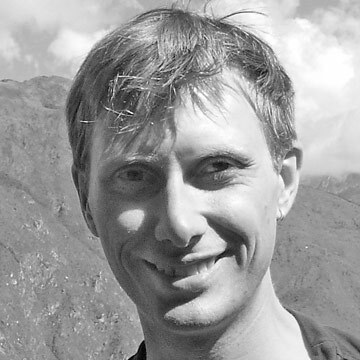 He loves creating interactive content that delights as it informs. Matt has written well-received textbooks for John Wiley & Sons, Inc. as well as hundreds of online articles. © 2015 Brightpips. All Rights Reserved. Apple, the Apple logo, iBooks, iPad, iPhone and Mac are trademarks of Apple Inc., registered in the U.S. and other countries. iBooks Store is a service mark of Apple Inc.
Branding: Okayso. Design: Soothed. Sculptor Galaxy: NASA/JPL-Caltech. 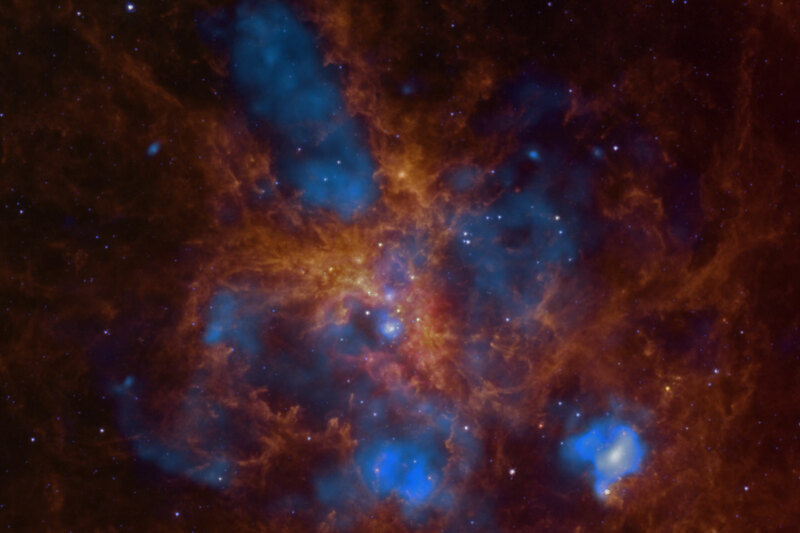 Tarantula Nebula: NASA/JPL/CXC/PSU/L. Townsley et al.